You'll be £16.99 closer to your next £10.00 credit when you purchase Barnsley Pals. What's this? The "Pals" battalions were a phenomenon of the Great War, never repeated since. Under Lord Derby's scheme, and in response to Kitchener's famous call for a million volunteers, local communities raised (and initially often paid for) entire battalions for service on the Western Front. Their experience was all too frequently tragic, as men who had known each other all their lives, had worked, volunteered, and trained together, and had shipped to France together, encountered the first full fury of modern battle on the Somme in July 1916. Many of the Pals battalions would not long survive that first brutal baptism, but their spirit and fighting qualities have gone down into history - these were, truly, the cream of Britain's young men, and every single one of them was a volunteer. 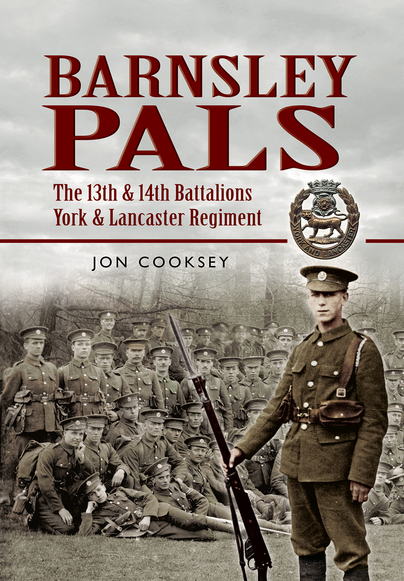 Barnsley Pals, the first of the highly successful "Pals" series is now released in paperback in the 100th anniversary year of the Battle of the Somme. This book is immensely detailed on the Battalions activities, and is hugely name-rich. A superbly researched work with many personal experiences of survivors, fascinating, contemporary photos and exceptionally fine maps. This work is a fitting tribute to Kitchener's Barnsley volunteers.